The Zesty Design Team have over 50 years collective graphic Design experience (we know, they look much too young! 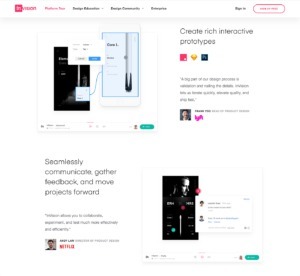 ), we asked them to give us an insight into the daily life of a Designer by sharing a few web design tool recommendations for busy Designers. Over the years we have tried and tested a range of web tools, some have been great and others less so! Below are a few of our favourites, the tools recommended are quick and easy to use, which is important when project deadlines are approaching! Many of these tools are also free of charge and you can start trying them out to help improve speed and efficiency of some of those daily manual tasks. Follow us on social and let us know what you think of the tools below or are there others that you can recommend? We’d love to hear your suggestions. A ‘favicon’ is the brand logo or icon displayed in the address or bookmark bar in a web browser. Previously designers or developers would have been responsible for creating individual favicons for each browser and platform. Real Favicon Generator does this manual task for you! 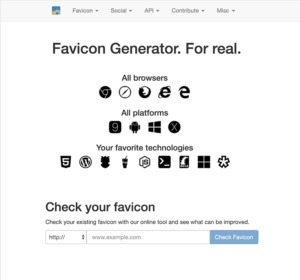 Users submit an image to the Real Favicon Generator and it automatically generates icons and HTML code for display on all browsers and platforms. 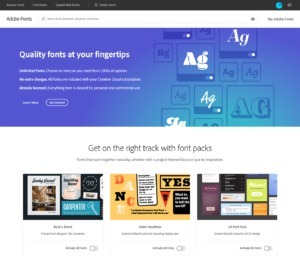 Adobe Fonts (Typekit) is an Adobe product that is included free of charge with Creative Cloud subscriptions. It offers an extensive library of website fonts and provides an embed code to add these fonts to your site. Another Adobe product makes the list! 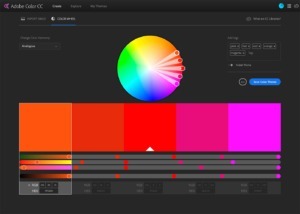 Adobe Colour CC is an invaluable tool for creating colour palettes and colour schemes for website and branding projects. The ‘Explore’ section of the site is a source of inspiration for the Team, presenting 1,000s of themes from the Design community. Invision offers both free and paid versions and we highly recommend investing in the paid version. We use this tool to share work in progress internally and also to present designs to clients. Our User Experience Team also use it regularly to share website prototypes and site architecture with clients. The interactive presentation helps clients to visual their website projects and provide feedback. Snazzy Maps provides just that! 1000s of interesting and unique map styles for inspiration. Users can build their own maps, choosing the style, location, markers and advanced settings such as language, controls and behaviour settings. We find this site especially useful for our Tourism sector clients. 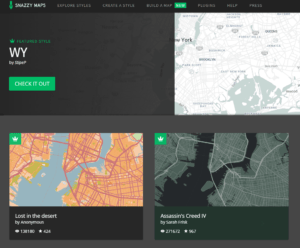 Maps are a primary feature on their websites, we want to include eye catching and unique styles for their users to engage with. Here’s our top Browser extension tools! 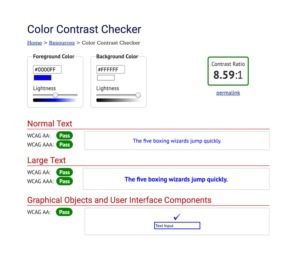 This tool is a fast and easy way to extract a colour from a web page. It’s perfect for creating prototype pages to present to clients. This extension tool allows us to quickly resize browser windows to emulate the view on a variety of screen resolutions. Which is useful when we’re creating visuals illustrating how a client’s website will display on a range of devices. This tool is an easy way to identify font used on a webpage. Again, we find this useful when creating visuals for presentation to clients.